The seminar will occur from 5 to 6 p.m. on Wednesday, Oct. 25, in the Enterprise Center, room 131, at the Mt. Laurel Campus. Rowan College at Burlington County will hold an information seminar on Wednesday, Oct. 25 to discuss improvements to its nursing program — including the new “3+1” option to a bachelor’s of science in nursing and the college’s partnership with Virtua. The seminar will occur from 5 p.m. to 6 p.m. on Wednesday, Oct. 25, in the Enterprise Center, room 131. Visit rcbc.edu/nursing to RSVP for this seminar. 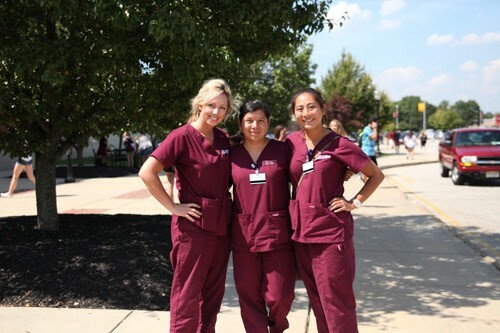 According RCBC, nursing jobs are projected to grow 19 percent by 2022, have a median salary of $65,000 and are increasingly requiring a bachelor’s degree like the one provided by the 3+1 path. The college has also expanded its partnership with Virtua — which is the largest placement location for RCBC nursing and radiography students.